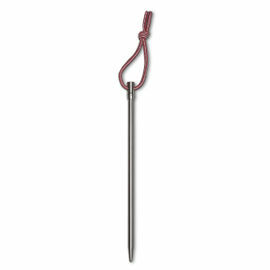 With each purchase of this tent you will receive £90.00 worth of Woodlore Vouchers. The Hilleberg Nallo 2 GT Tent is a superb all-season 2 person tent. It excels where the lightest possible tent is needed, while providing all-season strength and reliability. 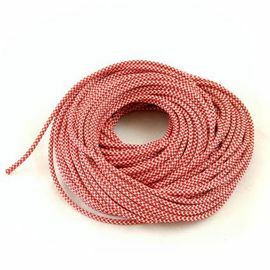 Its tunnel design and ultra light weight make it ideal for mobile adventures where you pitch and strike your tent daily. The Nallo 2 GT is the first choice of those needing the lightest weight tent that still offers all-season, all weather functionality. 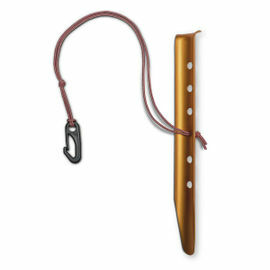 It is perfect for professionals who carry large amounts of equipment, including long distance hikers who want to get more out of carrying less. Globe-trotting trekkers use the Nallo 2 GT as it ensures private accommodations wherever they go, while solo hikers love having near-palatial space without any real weight penalty. Families with younger children and those who hike with their dogs also love the extra space and light weight the Nallo GT offers. The exceptionally versatile vestibule has an entrance on either side, so you can always enter and exit out of the wind; open both doors at the same time for better access and venting. In addition, the entire front can be rolled up to create the equivalent of a covered patio! The Tunnel design, with its single-opening, continuous pole sleeve construction and linked inner and outer tents makes the Nallo GT easy and simple to set up. Ultra light materials (Kerlon 1200 outer tent fabric & 9mm poles) make for a supremely stable yet very lightweight tent. 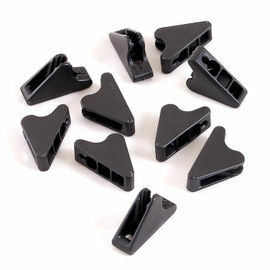 Pitching requires only four pegs, yet the Nallo's 16 guy line points provide a myriad of options for increasing stability. Remarkably strong Spectra guy lines are attached at two points to all pole sleeves on both sides of the tent, and have two line runners each to ensure optimal tension. The front vent on the Nallo GT also has a guy line with line runner. Interior space is maximised by having full sitting height closest to the front where you need it most, as well as one vertical inner tent entrance. The tunnel design offers near-vertical side walls, while a single entrance and vestibule offer easy access and plenty of storage space. 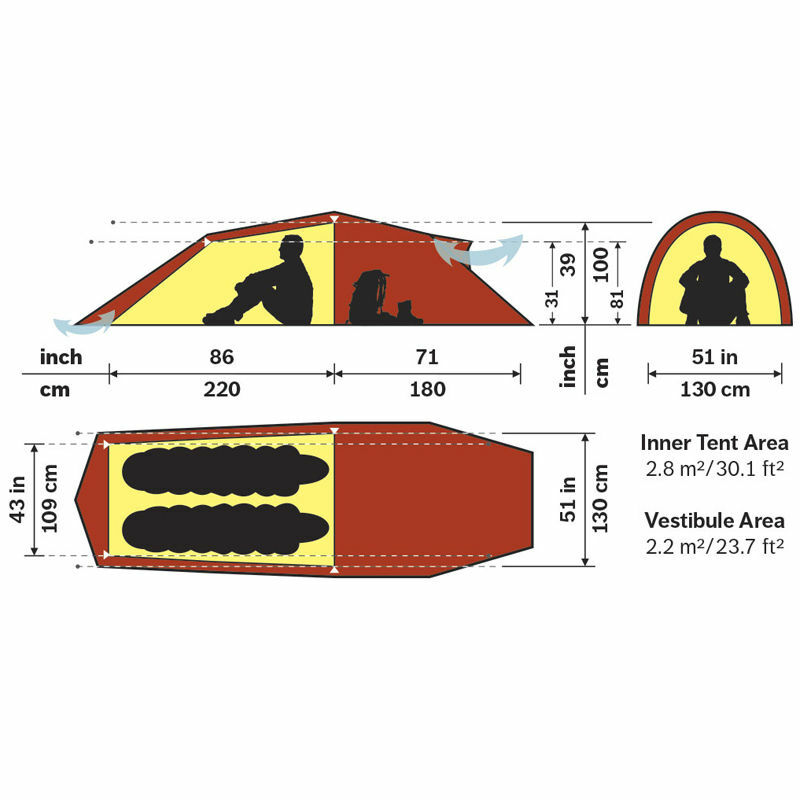 The front of the vestibule can be rolled up, creating a tunnel-shaped opening with full tent width and enough depth to keep all but the worst weather away from the inner tent door. The Nallo 2 GT's ventilation works regardless of the weather, as the inner tent fabric is highly breathable yet water repellent. The large front vent is situated high enough to keep air moving even if the tent is dug down into deep snow, and is also backed by an adjustable snow-proof panel that is accessible from inside the vestibule. Inner tent venting comes from the adjustable fabric-backed no-see-um mesh panel in the rear wall. The inner tent door has a full no-see-um mesh panel covered with an equal sized, zipper-adjustable fabric panel, and the rear wall of the outer tent can be partially rolled up and guyed out for further venting. 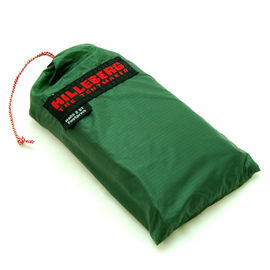 Hilleberg Nallo 2 Man GT Tent (Plus 90.00 Pound Bonus) is rated 5/5 based on 2 customer reviews. Bought this tent for backpacking; previous tent was a Vango Banshee 300, which is the same weight as the Nallo 2 GT. Well what can I say, weight for weight you get much more space in the Nallo, sleeping area is spacious enough for me and my wife. My wife has fell in love with the vestibule, down side is now I'm not allowed to lay on my air mat with my boots on. First used the tent in Scotland, Loch Lomond with the weather rather on the wet side, muddy pitch was not a problem as we did get the footprint which was perfect for the vestibule. Tent was easy to pitch, we only test pitched it once in our garden before and onsite we had it up with out kit in the vestibule within 10 minutes; this was done in the rain as well. 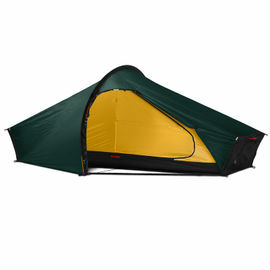 I fully recommend this tent, well built, strong, spacious and not too heavy for backpacking. The guy lines and peg outs are fully adjustable which made pitching on an uneven surface a doddle, no sagging bits at all. I would buy this tent again. 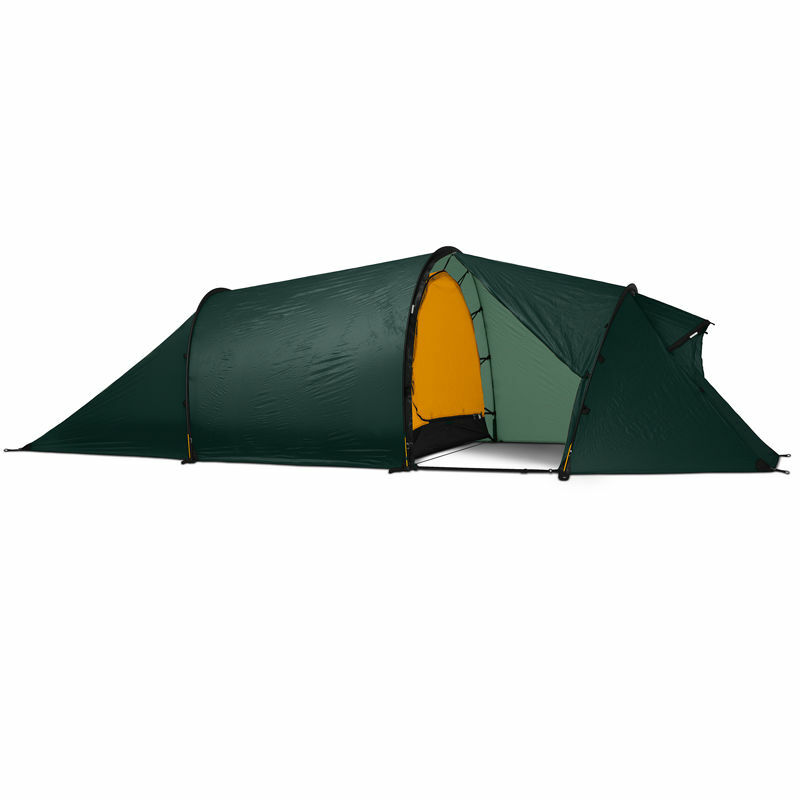 Fully featured, light, two-man tent.